LOVATT-SMITH LISA zľavnený tovar ! 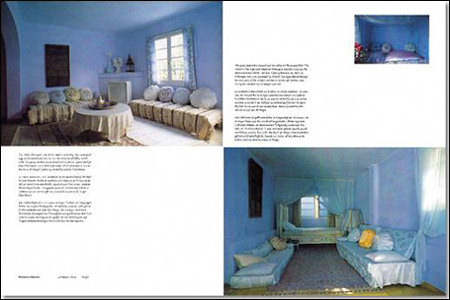 This book explores contemporary interiors in the sun-soaked land that stretches from the Sahara to the Mediterranean: Morocco. The diversity is breathtaking: the rural pisé architecture of the south is a far cry from the Hispano-Mooresque ornamental beauty of the imperial cities. Moroccan Interiors are as endlessly varied as the country itself, from the restored palaces in the medina of Marrakesh (where aesthetes of the international set now live) to humble troglodyte fishermen’s homes at Sidi Moussa d’Aglou. The colorful palette of this country and the light there themselves suffuse these very different homes with a vitality that is as distinctive to modern Morocco as it is a reflection of contemporary trends in décor worldwide.